On Wednesday night, Jeb Bush was on stage at the Ronald Reagan Presidential Library to participate in the second GOP debate. That night, Bush also joined Vine — during the debate. Talk about bad timing. It's not the first time that Bush has been involved in some controversy regarding the popular video-based social media channel. Back in August, a Bush supporter used Vine (and other social platforms) to generate buzz about a 'Jeb4Prez' tattoo that he wanted to get. He shared a video of Bush on Vine and promised that if his post got a million loops, he'd get the tattoo. Turns out the Vine went viral, and even Bush and members of his campaign staff had a little fun with it. Then, after the dedicated fan actually went through with the tattoo, he claimed that the campaign, and Bush, fell completely silent on the topic. Now, people have noticed that the former Florida governor and Republican presidential hopeful launched a Vine account at the same time he appeared on CNN and on stage at the Republican Party's second varsity debate. No confirmation yet that it's definitely a legit account — and if it is, it's surely a campaign staffer who actually launched the account. Still, Twitter has noticed and it's either hilarious or cringeworthy, depending on how you look at it. As if one candidate Vining during the debate weren't enough, it looks like John Kasich also joined the fun. 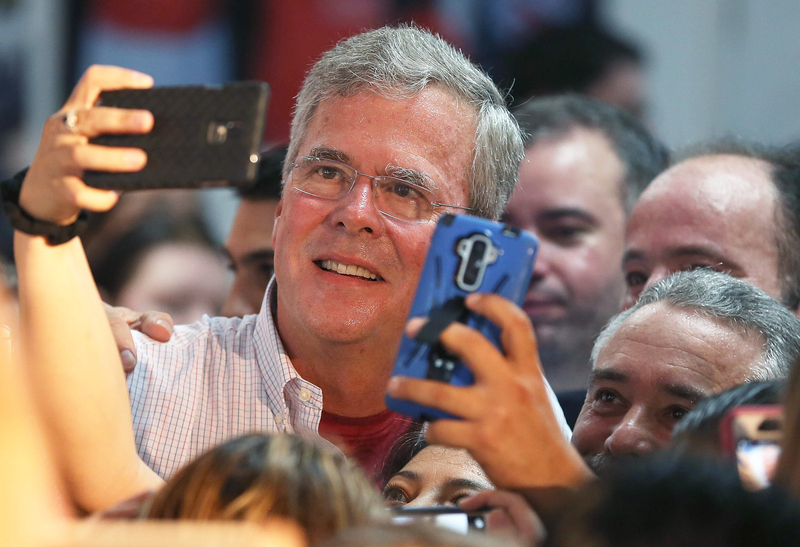 And then, they — or at least Bush — started actually using their Vines during the debate. It's possible that launching a Vine during the debate was a strategic move to capitalize on the Vine-worthy moments from the event. It's also possible that it was a hurried afterthought. Either way, we're talking about it, so maybe it paid off after all.